Many thanks to the Asante Foundation for supporting OMA at their Medford radiation and infusion room locations. A special thanks to Gail Kessler and Michelle Hollenbeck for their commitment to making this possible and ensuring OMA services support their patients. 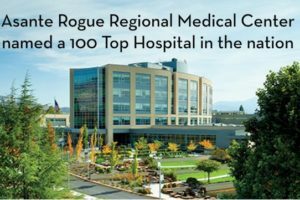 We began services November 2017 and hope to continue to be a part of Asante Rogue Regional Medical Center for years to come. If you wish to help us reach this goal, please visit the Asante Foundation to make a donation on behalf of this service.